Casino Veteran explains payment methods for gaming online in 2018. Payment methods are a big deal when it comes to online casinos. Let the Casino Veteran share his immense knowledge about this vital area, gleaned from his many years playing at online casinos. What are payment methods when it comes to online casinos? What is meant when people talk about payment methods? In a nutshell, it is simply the various ways that players can put money into their accounts and also withdraw it. Naturally, this is very important as without the ability for players to fund their accounts or grab their winnings, the online casino experience is not much fun! When looking at which online casino to use, this is certainly one of the key areas to consider. Don’t make the mistake of thinking that all casino sites offer the same payment methods to players. Although there are some common ones that many will accept, most casino operators will have a range of payment methods between them. Check if the payment methods are the same for deposit and withdrawal. The Casino Veteran always looks at whether players can deposit and withdraw with the same payment methods. Many players have fallen foul of depositing funds into their account with their favourite method, only to find that they can’t use the same method to get their money back out! one of the most common ways that players can fund their account is with PayPal. This electronic method has a couple of advantages. Firstly, it is very quick and means that your request is processed fast. It is also easy to use, as other e-wallets are. The only drawback to this method is that you have to first put money into PayPal before transferring it into your casino account, which can get a bit tedious after a while. 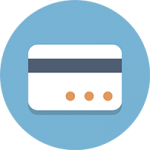 when it comes to the most popular way to fund accounts or withdraw money, credit cards have long been a widely used option. They are very safe and trustworthy along with having a quick processing time. The downside with this form of payment method is that there can be quite a high commission rate on transactions. as you would expect, some players will use their mobile phones to deposit or withdraw with now. 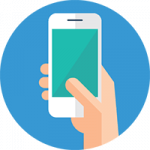 Money is added to or taken off a player’s mobile phone billrather than an e-wallet or bank account. Naturally, this is very convenient for players. This method is not available at many online casinos as yet though. this is one of the most popular ways to deposit money into players’ accounts, certainly within the UK. 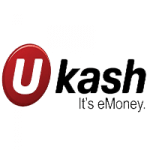 To use this payment method, players pay money to get a Ukash voucher and then enter the code from this on the casino site to deposit the money there. It is very secure and also allows you to keep control of your budget easily. The major downsides are that you can only deposit with this method, and you have to physically go out to get the voucher in the first place. this is another type of e-wallet and is similar to PayPal. 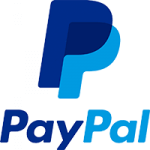 As with PayPal, it is simple to use and offers low commissions along with fast processing times. It is a great choice for players who deposit or withdraw fairly low amounts but can incur higher fees for larger amounts. another form of e-wallet is Skrill. Initially founded in 2002 as Moneybookers, it has since gone on to become one of the leading digital payment methods for online players. It is very secure and gives superb protection to players’ personal details. It is also simple to use and has quick processing times. In addition, it is accepted in many countries globally and so is one of the most popular e-wallets around. along with credit cards, bank transfer is one of the oldest payment methods for online casinos. The real benefit with bank transfers is that they are very secure and have a paper record if anything goes wrong. Unfortunately, they are quite long-winded and can take up to five business days to process. They can also involve transactions fees, and there can be limits on the amount that is eligible to transfer from certain countries. 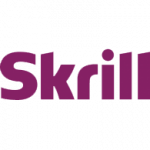 this e-wallet ranks up with Skrill as one of the best-known for online players. 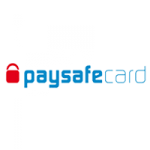 As with other e-wallets, it gives superb security along with fast processing times. 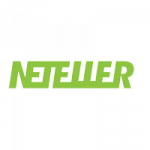 The level of customer support with Neteller is excellent, which is ideal for any issues that arise. As with other e-wallets, the downsides are an inefficient process to use and high transaction fees for larger amounts. One of the newest payment methods that the Casino Veteran has seen is Bitcoin. 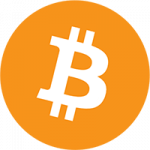 This encrypted, digital currency is not centrally controlled and is truly anonymous. As a payment method for online players, it has a few advantages. using their mobile phones to pay or withdraw with but without having to use the casino account page. Lastly, many online casinos are actively offering incentives to players to use this payment method. The only real drawback is that not many online casinos accept Bitcoin. Which payment method should you use? Take a tip from the Casino Veteran and use the latest tech-savvy platforms! When he goes to play, the Casino Veteran wants to use payment methods that are quick, simple and secure. After all, why should anyone wait days for their request to be processed? As a man always on the cutting edge, the Casino Veteran takes a keen interest in the latest developments in this area. From e-wallets to cryptocurrencies, he is always ready to use the most innovative ways to enjoy his online casino experience. How to stay safe when gambling online ?